EghtesadOnline: When the Central Bank of Iran announces its new regulatory frameworks concerning virtual currencies, it is expected to lift a previous blanket ban on cryptocurrencies. Nasser Hakimi, CBI's deputy for innovative technologies, reinforced a general expectation concerning the legalization of cryptocurrencies when he promised that related policies will be finalized and announced in less than a month. Addressing a blockchain and cryptocurrency conference in Tehran on Sunday, he said the regulator is looking at four aspects as part of its upcoming regulatory frameworks due by late September, IBENA reported. "The first concerns the prevalent global cryptocurrencies. The High Council of Anti-Money Laundering has imposed a ban in light of concerns over global allegations of money laundering and financing of terrorism. But it seems that after the government's consideration, this blanket ban will be reviewed," Financial Tribune quoted him as saying. 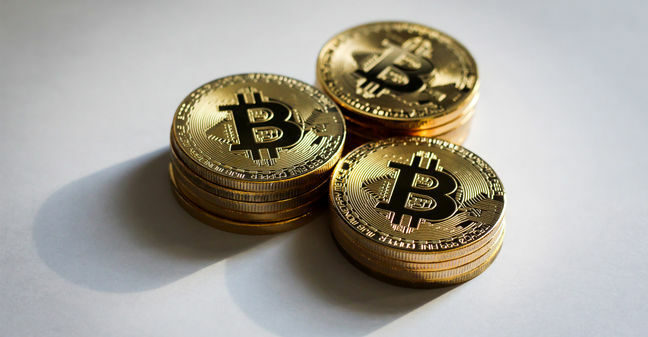 CBI on April 22 announced that all Iranian financial institutions, including banks and credit institutions, are prohibited from handling cryptocurrencies. It said the decision to ban all monetary and financial institutions from using Bitcoin and other cryptocurrencies was taken during the 30th meeting of the High Council of Anti-Money Laundering on Dec. 30, 2017, and was rooted in money-laundering concerns. However, as many including Minister of Communications and Information Technology Mohammad Javad Azari-Jahromi conceded, the ban was an attempt to prevent capital flight and a direct response to the country's worsening currency crisis. The depreciation of Iran's rial had made the government take other drastic measures, including unifying the dollar's exchange rate and outlawing free currency trade in the open market, which measures were later reversed. The cryptocurrency ban, however, failed to stop transactions in online exchanges. The exchanges stopped operating for less than two weeks shortly after the ban amid uncertainty, but soon resumed operations and have been active since. Hakimi outlined CBI's tenets concerning cryptocurrencies, including the issue of mining the virtual currencies. "This is beyond the boundaries of the financial sector and is considered an industrial issue, so we can look at it as the crypto mining industry," he said. Hakimi referred to Iran's planned national virtual currency and pointed that it requires a "suitable and prevalent" backing. "National virtual currencies haven't proved successful experiences in the world, but some economic officials have emphasized on this, so the Informatics Services Corporation has readied a test edition and some other entities are also cooperating in this," he said. The Informatics Services Corporation, an executive arm of CBI in charge of operating the country's banking automation and payment systems, announced on July 26 that it has commenced test transactions on a rial-backed national virtual currency and will unveil it in three months. An advisor to ICT Minister had said on July 24 that the national virtual currency will only focus on clearing limited bank transactions in its first phase using a private blockchain, ruling out the possibility of public mining. According to Hakimi, if it is to be considered money, its special characteristics need to be defined. Referring to the politics of cryptocurrencies, the CBI official said, "It is possible to transfer information and conduct trade by creating a cryptocurrency with several countries of the region. Hakimi noted that CBI remains cautious about cryptocurrencies. He said many refer to the decentralized phenomenon as "a magical solution for all economic problems", but warned that their volatility and relatively low volume of transactions show that a "more realistic view" is needed when dealing with them. On Saturday, an official, who attended a high-level meeting at the National Cyberspace Center with President Hassan Rouhani concerning cryptocurrencies a few weeks ago, announced that an initial draft of the document on the national cryptocurrency has been prepared at the behest of the president and awaits CBI's approval.